Exciting discoveries unearthed in 2005 gave us an unexpected glimpse of the Medieval Period at Mellor, which was previously only confined to the historical record. 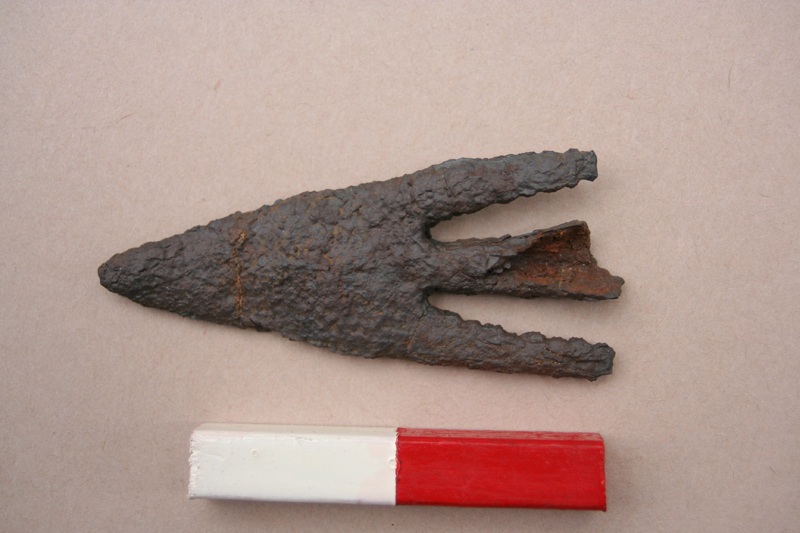 A Barbed Iron Arrowhead was found in Trench 35 and the packing around a double line of postholes (used to secure each post during the construction of a building) found in the adjoining Trench 33, have been found to date from between the 11th to the 13th Centuries. Furthermore, the exposed area uncovered a series of post pits which held a pottery assemblage dating from the 12th, 13th and 14th Centuries, tying in with a radiocarbon date in the deep postpit of AD1000 to 1250.